Nora O Murchú is a curator and designer based in Ireland. Her practice engages with fictions and narratives to explore how complex sociotechnical systems are imagined, built, and used. 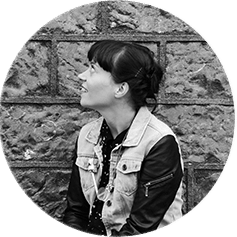 She has held positions as a research associate for the Interaction Design Centre at the University of Limerick, the Interaction Research Studio at Goldsmiths, and CRUMB at the University of Sunderland. She has curated exhibitions and events for institutions including the Science Gallery, Rua Red, Resonate Festival, Transfer Gallery and White Box Gallery. She is currently a lecturer in Interaction Design at the University of Limerick in Ireland.